A Pennsylvania town has banned trick-or-treating this year while hundreds of cops search nearby woods for accused cop killer Eric Frein. The Barrett Township said its annual Halloween parade and 5K Scarecrow Race are canceled indefinitely, and trick-or-treating is banned this year, as the dragnet for Frein is now in its fourth week. The suspect is believed to be hiding out in thick woods near the town. "This parade is probably one of the biggest events that the town has every year," Ralph Megliola, chairman of the township's Board of Supervisors, told ABC News today. "Everyone looks forward to the parade. Myself and my family personally have been away and cut our vacation short to get home in time for the parade. Thousands of people line the streets." 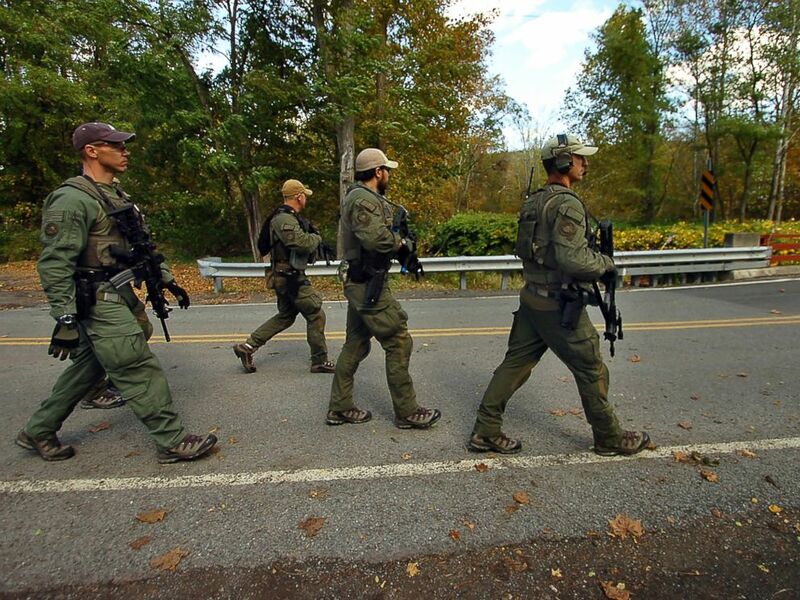 Members of the FBI SWAT team walk to the woods Oct. 8, 2014 in Price Township near Canadensis, Pa., searching for killer Eric Frein. Megliola said that this year would have been the town's 50th anniversary parade. It was scheduled for Oct. 26. The dragnet for Frein has residents of the normally sleepy town in the Pocono Mountains on edge. "I'm the father of a 9-year-old," Megliola said. "We do things a little differently now. I'm not so comfortable with him going outside and playing anymore." The manhunt and increased police presence is also hurting tourism and businesses in the Poconos. Frequent road blocks, hunting restrictions, and school closures right after the shootings add to the inconvenience. 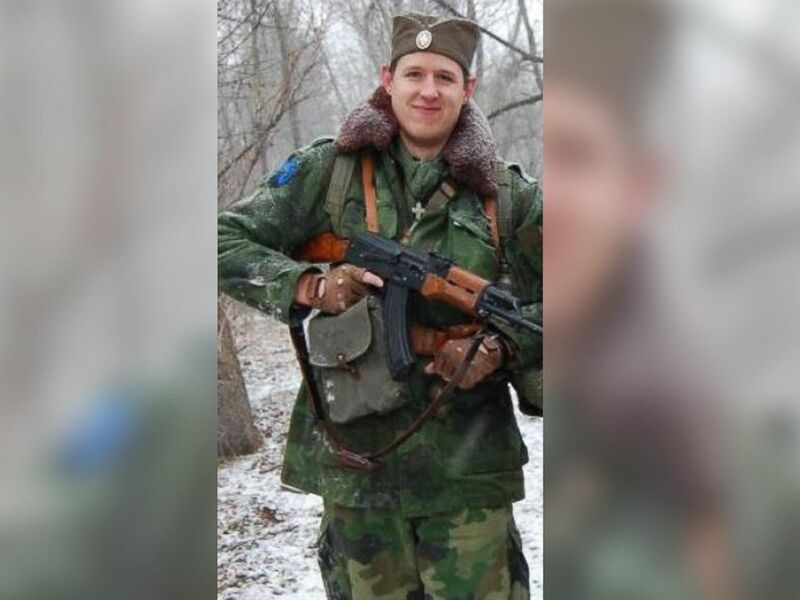 Police said suspect Eric Frein is part of a military simulation group. "Now we have that question in the back of our mind -- is he here? Where is he?" Megliola added. "Any time you drive through town, it's not uncommon to see 20 to 40 police cars or a helicopter or two or three flying above." Many people worried that Frein could escape during the Halloween activities with the help of disguises or costumes, ABC affiliate WNEP reported. If he's found before Halloween, Megliola said the town will reconsider its Halloween activities. For now, a "trunk-or-treat" will be held in the parking lot of a Catholic school in a nearby township. Police have been searching the woods, focusing on the border of Pike and Monroe counties, since after the shooting at the Blooming Grove police barracks on Sept. 12. Frein allegedly killed one officer and injured another.